1. The view from the top is breathtaking. From the top of Mt. Arbel one can see the Golan Heights, the city of Tiberius, and the Sea of Galilee. 2. It will challenge you to do more than you thought possible. 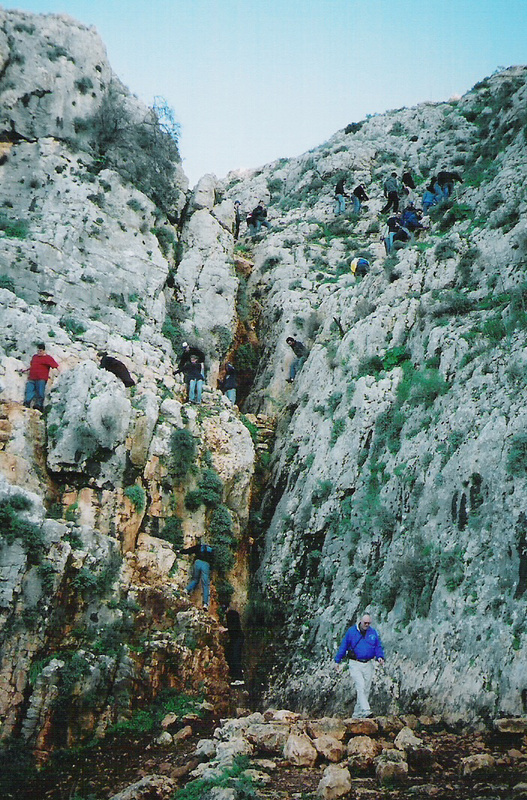 Hiking down from the top of Arbel, you will encounter varying degrees of difficulty on the trails. Some will feel like a walk in the park…others will feel like you’re a mountain climber. 3. You get to see some pretty cool caves. There are cave dwellings dug into the mountain. Some of these cliff dwellings date to the Second Temple period where rebels against Herod sought shelter. If you’re not claustrophobic, go on in and have a look! 4. You can visit the ruins of an ancient Jewish synagogue. This synagogue dates to the 4th century CE. 5. You get to say you did it! And you will be glad you did!